Last November, Nintendo “fixed” what is perhaps the one glaring deficit on its most adaptable console to date: lack of support for any headphones that don’t use a 3.5 millimeter jack. Unfortunately, the fix was a messy one, requiring USB-based wireless headphones, or a nasty mess of adapters. To say it wasn’t ideal is putting it lightly. For a device that’s supposed to be portable, it’s absurd that you’d have to plug in wired headphones considering most of our devices are dropping the headphone jack en masse. Now, though, a Kickstarter campaign from a team named Human Things seeks to remedy perhaps the biggest oversight on our favorite handheld by adding true Bluetooth support. 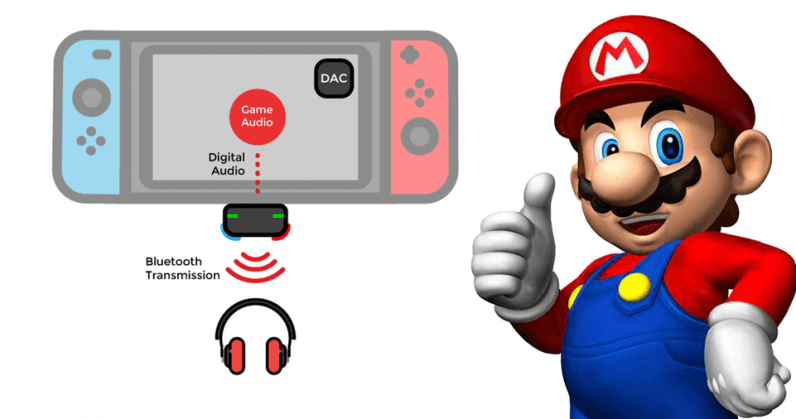 The device, called Genki, is a simple dongle for the Switch that promises Bluetooth 5.0 support, and multi-user audio — which would allow users to connect two audio devices at the same time. It plugs in to the USB-C port and doesn’t require its own battery. The Genki team claims it only draws a small amount of power from the console, making a standalone battery a bulky and unnecessary add-on. The adapter also works with the Switch’s external ports with an additional $10 dock adapter. Human things has already raised more than $330,000 for the device, which it promises to ship in November of this year. You can grab yours for $39, 22 percent off MSRP, over at Kickstarter.